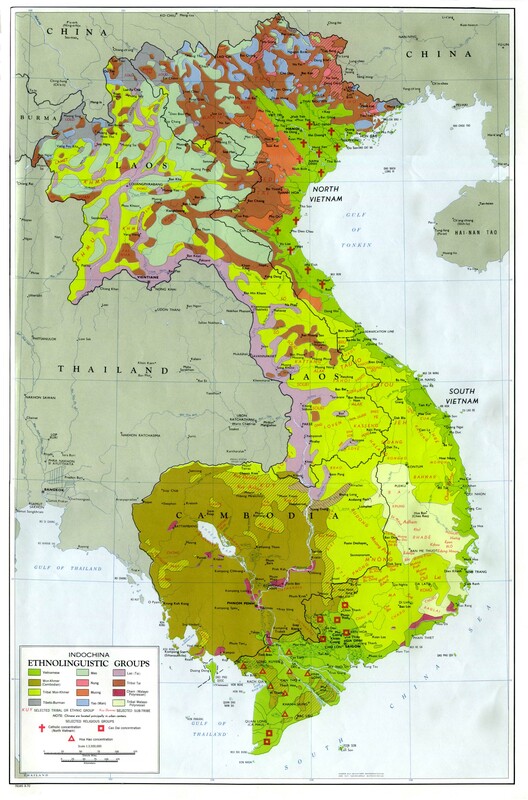 In the Geneva Accords, the partition of French Indochina into three states - Laos, Cambodia, and Vietnam - was decided. Vietnam almost immediately split in to governments distinguished by their ideologies, both claiming to represent all of Vietnam, one controlling the country's north, the other the south. Historical and Political Maps of French Indochina, from Historical and Political Maps of the Modern Age, forthcoming; none available yet.